Paseo 206 opened just a few months ago but it seems to have already gained quite a following. The first thing the new owners did was to undertake a well thought-out restoration of the building, bringing back the soul and beauty of a former residence and turning it into the incredible boutique-hostel and restaurant it is today. This process made sure that future employees would acquire a sense of ownership about the premises and thereby improve the quality of the service. Paseo 206 has been described as “a warm embrace between Cuba and Italy”, an effort to preserve the spiritual strength of the two countries as embodied by the current owners Andrea Gallina from Italy and Diana Sainz from Cuba. But Andrea admits that most of the spirit of their project comes from Diana. The hostel looks after all the arrangements of travellers, right from pickup at the airport in perfectly restored and functioning 1950s vintage cars. What a wonderful start for a visit to authentic Cuba. The hosts pride themselves on their concept of experiential-travel and so they organize excursions for their guests to the fruit and vegetable markets to pick out the produce they will be eating later on. They also visit the fish market and participate in the cleaning of the fresh fish. It is an original way to explore daily life on the Island. Other excursions are also popular with foreigners: following the Hemingway Route in Cuba or exploring the neighborhoods of Centro Habana and Habana Vieja. 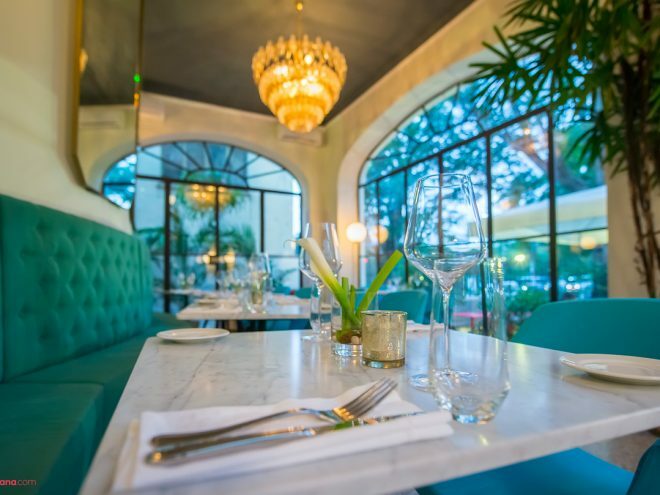 The Paseo 206 restaurant is called Ecléctico: the name reminds us that the district where it is located, El Vedado, is an eclectic one. It also alludes to the fact that Cuban products are used to create Italian cuisine. The Cuban dishes which are served are cooked in a healthier manner, going light on the oil. Pasta is home-made as is the paté de foie gras. The motto of the restaurant is “from the field to the table”: nothing could be fresher. Among the main dishes are pasta: Fettuccine alla Bolognese (tomato, ragout); Spaghetti alla Pescatora (tomato fresh seafood from local fishermen) and Gnocchetti all’amatriciana (tomato sauce, tiny Italian dumplings). Main dishes include El Cochinillo asado with market vegetables and chicken breast cooked in white wine sauce and served with baked potatoes. As an appropriate ending to the meal one can choose a delicious home-made gelato created from incomparable Baracoa chocolate.